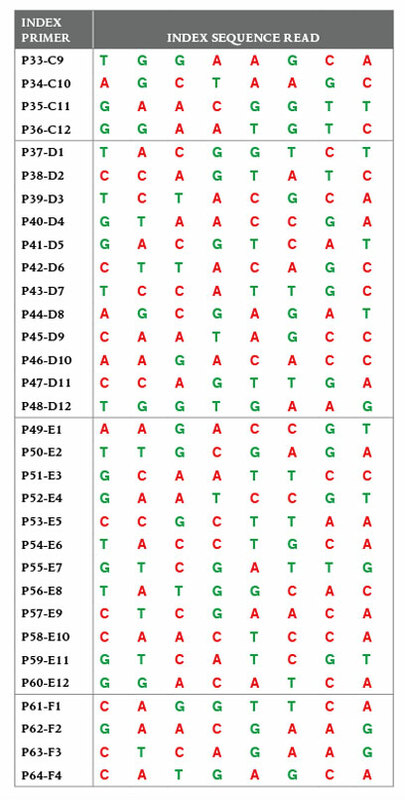 For a link to download a sample sheet with the index sequences for use with the Illumina Experiment Manager (IEM) please go to our FAQ's tab on www.neb.com/E6609 – NEBNext Multiplex Oligos for Illumina (96 Index Primers) (NEB #E6609). 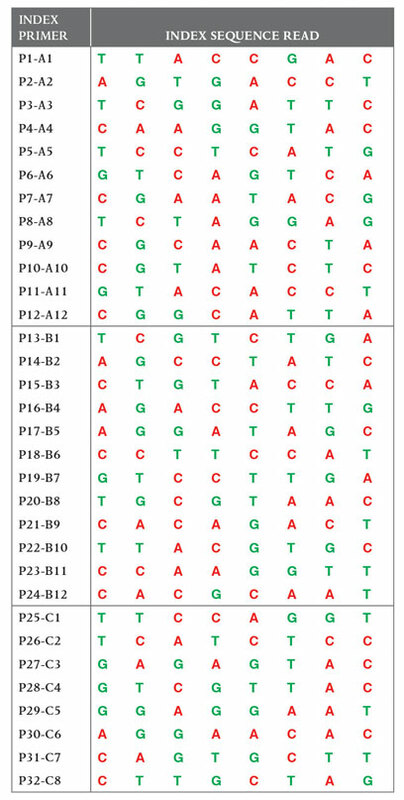 For the HiSeq®/MiSeq®, Illumina uses a red laser/LED to sequence bases A and C and a green laser/LED to sequence bases G and T. For each cycle, both the red and the green channel need to be read to ensure proper image registration (i.e. A or C must be in each cycle, and G or T must be in each cycle). 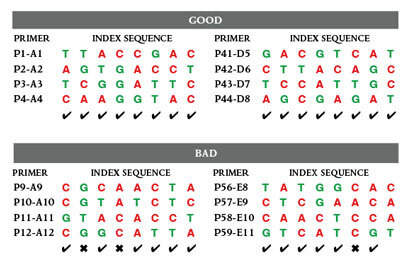 If this color balance is not maintained, sequencing the index read could fail. 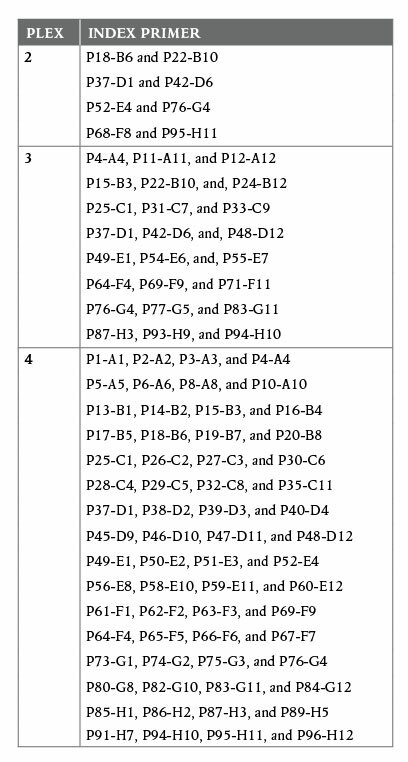 Table 2.1 lists some valid combinations (up to 4-plex) that can be sequenced together. For combinations > 4 choose any 4-plex combination and add any other index as needed. 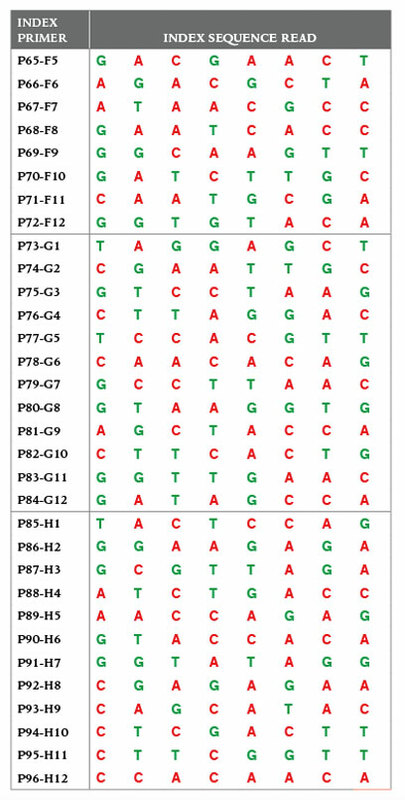 For the NovaSeq® NextSeq®/MiniSeq® which utilize 2 color chemistry, valid index combinations must include some indices that do not start with GG in the first two cycles. Use Table 2.1 for some suggested combinations.